The NFLs international development manager believes the leagues 11-year tease with London will lead to a permanent franchise, potentially as soon as 2021. Speaking at the announcement of this years three NFL games in London, Mark Waller, the leagues executive vice-president, said the economic case had been proven and it was now only a case of persuading any relocating team it would not be at a competitive disadvantage. Having staged 21 games in London since 2011, Waller told Press Association Sport there was no decrease in the enthusiasm for London among the leagues 32 team owners and they all know the numbers stack up. The next task is finding solutions to any concerns a London-based teams players and staff might have about issues such as accommodation, travel, tax status and schools. Waller pointed out that the current collective bargaining agreement with the players union expires in 2020 and the leagues various broadcast deals run until 2021. You could say its been an 11-year tease, but various strands would seem to be coming together, Waller added. Thursdays announcement revealed that Tottenhams new stadium will only host one NFL game next season, despite the Premier League club having a 10-year deal with the league to stage two games a season. 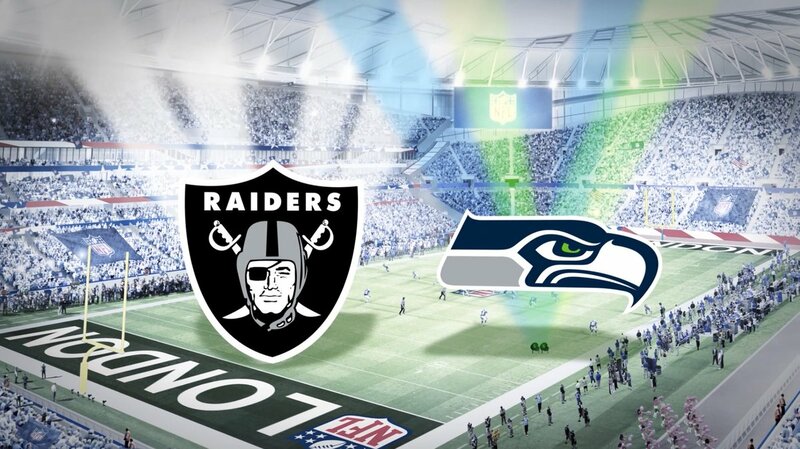 The new White Hart Lane, which is under construction, will stage its first NFL game on 14 October, when the Oakland Raiders host the Seattle Seahawks. Having staged its first NFL game in 2007, Wembley gets its 19th and 20th games over the following two weekends the Jacksonville Jaguars against the Philadelphia Eagles, and the Los Angeles Chargers versus the Tennessee Titans. The Jaguars have agreed to play one game in London until 2020. Waller urged British NFL fans not to read anything into the fact that there will be only three games in London this year, after four last year. Waller added that both Wembley and Twickenham started with just one game per season, and that White Hart Lane would be able to host three games in a season pretty soon. London mayor Sadiq Khan has also moved to reassure fans over the lack of a second game at White Hart Lane. With the NFL committed to holding two games a season at Wembley until 2020, that means London can expect to stage five games in either 2019 or 2020 a move that would only increase the clamour for a full-time franchise in the UK capital. The first @NFL fixture to be played at #SpursNewStadium!